Among the anniversaries of 2018 there is one that has gone unnoticed: the sixty years since the death of Venerable Pius XII, after a 19-year reign, at Castelgandolfo on October 9th 1958. Yet today his memory still lives on, especially, as Cristina Siccardi notes, as an icon of holiness, worthy of the Vicar of Christ, and for the vastness of his Magisterium, in the context of tragic events, like the Second World War, which erupted six months after his election to the Papacy on March 20th 1939. The death of Pius XII closed an era, which today is referred contemptuously as “pre-conciliar” or “Constantinian”. With the election of John XXIII (October 28th 1958) and the calling of the Second Vatican Council, a new era in the history of the Church opened: that which had its moment of triumph, on October 14th, with the canonization of Paul VI, after that of Pope Roncalli. Blessed Pius IX is still awaiting canonization and Pius XII has still not been beatified, but all the Council and Post-Council Popes have been canonized, with the exception of John Paul I. It seems that what they want to canonize, through its main actors, is an age, which however, is perhaps the darkest the Church has ever experienced in Her history. This drama has its roots in the Second Vatican Council and the Post–Council, and those primarily responsible were the Popes who have governed the Church over the last sixty years. Their canonization proclaims heroic virtues in the governing of the Church. The Council and Post-Council have denied doctrine for the sake of ‘the pastoral’ and for the sake of this ‘pastoralism’ they have refused to define truth and condemn error. 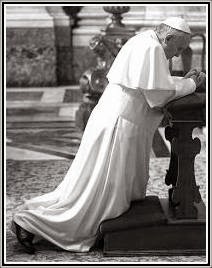 The only truth which is proclaimed solemnly today is the impeccability of the conciliar Popes - and them alone. The intent seems to be that of suggesting as infallible their political and pastoral choices rather than the canonizing of men. But what credit must we give to these canonizations? Even if most theologians retain that canonizations are infallible acts of the Church, we are not dealing with a dogma of faith. The last great exponent of the “Roman Theological School”, Monsignor Brunero Gherardini (1925-2017), voiced all his doubts about the infallibility of canonizations in the publication Divinitas. For the Roman theologian the decree of canonization is not infallible as the conditions of infallibility are lacking, starting with the fact that the canonization does not have as direct or explicit object, a truth of the faith or morals contained in Revelation, but only a fact indirectly linked to dogma, without strictly being a “dogmatic fact”. Indeed, neither the Codes of Canon Law of 1917 and 1983, nor the old or new Catechisms of the Catholic Church, make clear the doctrine of the Church on canonizations. Another valid contemporary theologian, Father Jan-Michel Gleize, of the Fraternity of Pius X, admits the infallibility of canonizations, but not those after the Second Vatican Council, for the following reasons: the reforms after the Council entailed certain insufficiencies in the procedure and introduced a new collegial intention, two consequences which are incompatible with the certainty of the beatifications and the infallibility of the canonizations. Thirdly, the judgment that is expressed in the process allows for an ambiguous conception at least, and thus doubt about the sanctity and heroic virtue. Infallibility is based on a rigorous complex of investigations and verifications. There is no doubt that after the reform of the procedure wanted by John Paul II in 1983, this process in the verification of the truth has become more fragile and there has been a change in the concept of sanctity itself. Thus, canonization not being a dogma of faith, there is no positive obligation for Catholics to lend assent to it. The exercise of reason demonstrates plainly that the Conciliar papacies have been of no advantage to the Church. Faith transcends reason and elevates it, but doesn’t contradict it, since God, Truth in essence, is not contradictory. Hence we may in [good] conscience maintain our reservations about these canonizations. 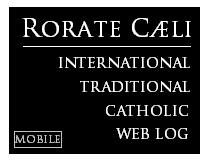 The most devastating act of Paul VI’s pontificate was the destruction of the Old Roman Rite. Historians know that the Novus Ordo Missae was not Monsignor’s Bugnini’s, but that prepared, wanted and carried into effect by Pope Montini, causing, as Peter Kwasniewski writes, an explosive internal rupture: “This was the equivalent of dropping an atomic bomb on the People of God, which either wiped out their faith or caused cancers by its radiation”. The most commendable act of Pius XII’s pontificate was the beatification (1951) and subsequently the canonization of St. Pope Pius X (1954), after a long and rigorous canonical process and four inconfutable miracles. It is thanks to Pius XII that the name of Pius X shines in the firmament of the Church and represents a sure guide in the midst of the confusion of our times.